Celebrities are THE fashion icons for beauty, makeup — and of course, hairstyles. Reese Witherspoon is no exception. 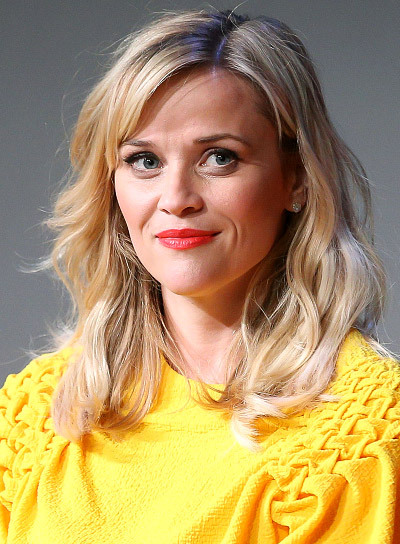 That’s why we’ve got Reese Witherspoon photo galleries, pictures, and general beauty news on this celeb. Her style is totally inspiring and worth checking out. So if you’re searching for some beauty tips, hairstyle options, and fashion advice, turn to Reese Witherspoon. She’ll bring your fashion to a whole new place. Reese Witherspoon wears a pretty, tousled hairstyle to the Livestrong Foundation's Art Night. See how to get the look:1. Apply smoothing cream to damp hair and blow dry straight using a paddle brush. 2. Switch to a round brush to dry your bangs, making sure you lift hair at the roots to add volume. 3. Rub some styling wax between your fingers and rake them through your ends to separate them. 4. Mist all over with lightweight hairspray, and fluff up your hair with your fingers for a tousled look. 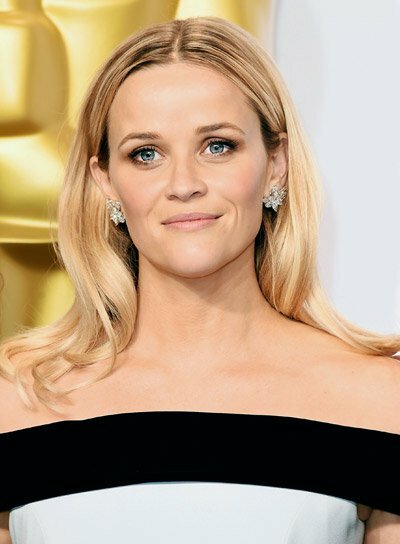 Reese Witherspoon's most popular style to date is perfect for heart-shaped faces. Get her look: 1. Have your hair cut mostly one length but ask for a few long layers in front. You want blunt-cut bangs that have a tiny bit of texture to them and follow your brow line.2. Work smoothing styling cream through hair and blow dry straight with a large round or paddle brush. (Be sure to blow dry your bangs just a touch to the side.)3. If necessary, flat iron strands to get an uber-sleek finish.4. Tame flyaways with a little more styling cream and smooth over hair with shine serum.5. Mist with hairspray to prevent kinking later.